The best part about planning a true Colorado wedding is the venue options! While you can always go traditional routes (churches, ballrooms, golf courses, mansions, etc), the outdoor possibilities are bountiful and beautiful! Choosing an outdoor option for your Colorado wedding means focusing on the aesthetic already around you and saving money in the decor department (which means you can spend it elsewhere). You can select unique locations that reflect your personal style or that provide a “Wow Factor” for your guests. Whether that be on a mountainside overlooking a valley, a flowing river alongside a rustic barn, a huge desert amphitheater showcasing natural rock formations, or smackdab in the middle of modern downtown Denver, anything you can imagine can be found in Colorado. 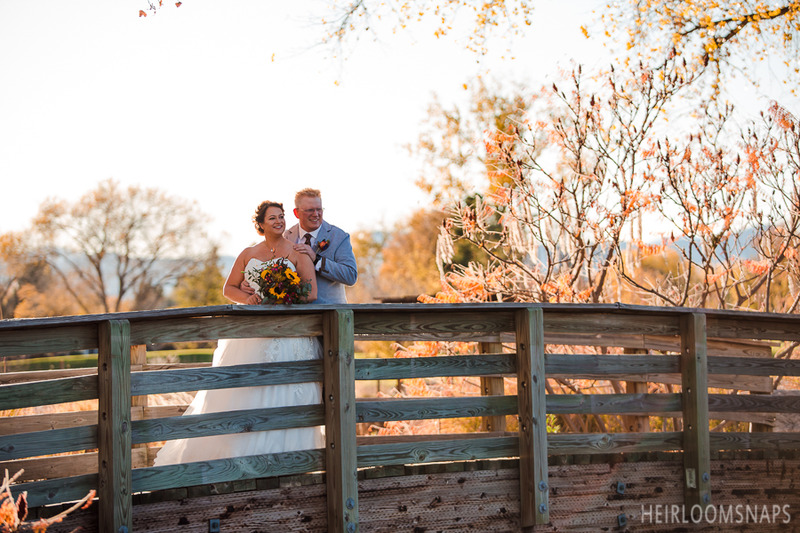 When planning a true Colorado wedding, you’re lucky to have a place that provides you four, full seasons to choose from, each one with its own special offerings. While winter weather can vary, you will get snow at some point, some higher elevations getting more than 300 inches every year, with temps between 15-50 degrees; there are even some places at higher elevation that receive snowfall almost all year-round. Spring offers a wonderful middle ground, between 25-65 degrees. Summer gets up into the 90s on rare days, and autumn has the largest gap in temperatures between 20-70 degrees. Every season offers its own remarkable foliage that can fit any style or taste. A Colorado wedding couldn’t be called as such if it’s not on trend. And Colorado is a definitely a trend-setting place. We’re talking: locally-sourced menu items and regional flavors, receptions filled with live music, bud bars/weed weddings, personalized and handcrafted special touches, a focus on sustainability and going green, leaning towards atypical floral options, animal-friendly, highlighting metallics and bolder colors, and opting for a full-weekend adventure instead of a single-day celebration - just to name a few. Not every Colorado wedding can be called “hipster” or “bohemian,” but most people planning a true Colorado wedding are influenced in some way by these unique trends (and many others) that are distinctive to Colorado. This is by no means a fully complete list of everything you’d need to know about planning a true Colorado wedding, but it’s certainly a good start. For all you could need to know, rely on top-notch Colorado wedding professionals to get you all the essential information. Having knowledgeable and Colorado-forward wedding experts on your team, you may find yourself in the essential Centennial State headspace: stress-free (Boulder, CO was ranked #1 in the “least-stressed” citizens of the U.S). Reach out to us for any of your Colorado wedding planning needs by using the social media buttons below - we ALWAYS love hearing from you!